When it comes to employee theft investigations, California private detectives at Tristar have decades of experience you can rely on to have the case handled successfully. Employee theft investigations require skilled, experienced fraud investigators. At Tristar we have successfully solved numerous employee theft investigations during our over 30 years in business. There are a number of tactics we can employ in employee theft investigations including covert surveillance, undercover investigators, polygraph test and employee interviews. In some cases we uncover a conspiracy that involves many employees. In a Los Angeles county case for a major automobile manufacturer we obtained covert video that documented collusion by several employees in a theft ring. Click here to see Tristar Investigation founder Bruce Robertson on TV discussing covert surveillance. Thank you for providing me with such outstanding service. I truly appreciate you and your staff for all you’ve done for me and my family…. I’m totally pleased with the outcome and their findings… Great job! I have used Tristar for years. Their response time and results are unparalleled. They get my highest praise. Tristar found my birth mothers records the same day. I am very impressed with their professionalism and the services they provide. I will use them again for any of my needs. Tristar was very helpful in my address search. Kellie Anguiano was very personable and kept me up to date with the search process… Thank you so much for your help! Tristar is by far the most reliable and efficient investigator we have ever used. Tristar Investigation has been featured in a dozens of publications, everything from print to TV and radio. 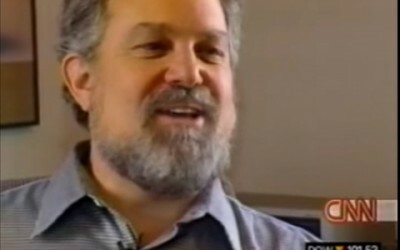 Bellow you will find Burce Robertson interviewed and discussed on famous publications such as the History Channel, New York Times, CNN and a lot more. 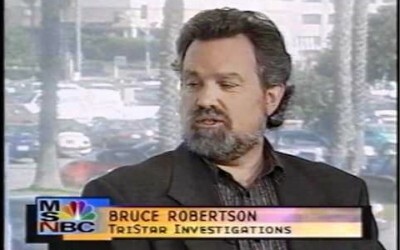 Bruce Robertson is the founder of Tristar Investigation, a private detective agency in Los Angeles, CA. Tristar has a 28-year track record of delivering quality investigative results. Headquartered in West Los Angeles, Tristar has branch offices in San Francisco.